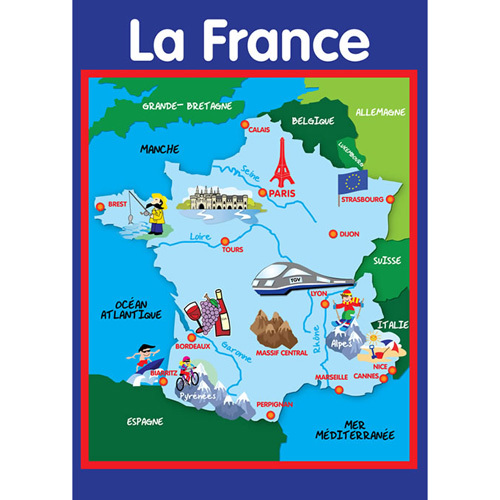 A large A2-size poster map of France for children, decorated with typical French icons. Major cities, rivers, seas and neighbouring countries are labelled in French. This bright and colourful map would be a wonderful addition to any classroom.